Manufactured with a full gloss art printed insert, this visually appealing range of promotional memo holders has been given a sharp new look. Incorporating a penholder and containing approximately 1000 sheets of white paper, these holders are now available in either translucent or metallic finishes. 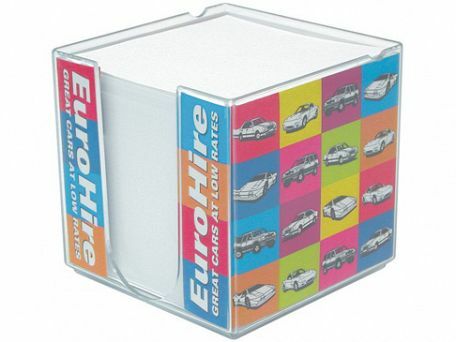 These memo holders make for ideal promotional gifts for any kind of promotional activity.